Q's for Zzz's: How Does Asking Questions Help You Sleep? 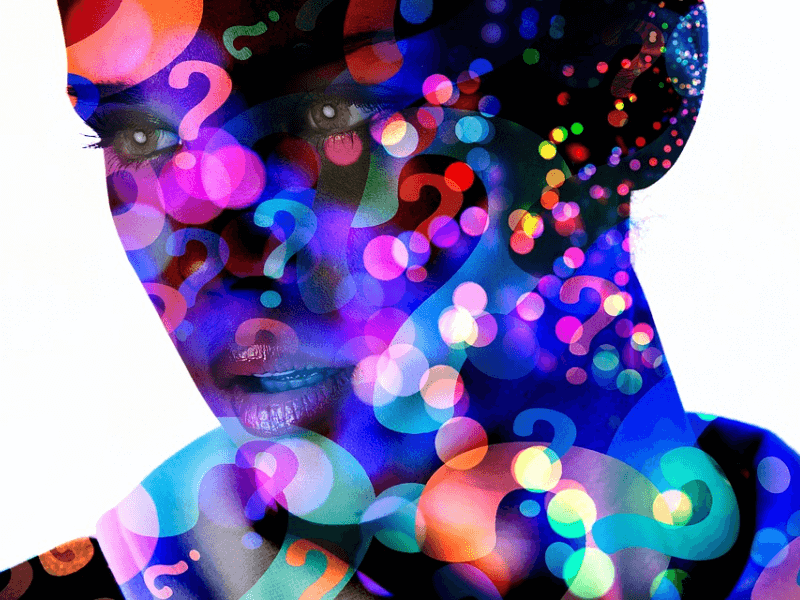 Q’s for Zzz’s: How Does Asking Questions Help You Sleep? It depends on the questions, really. Are you asking the right ones? Think of all the sleep-related questions you’ve always wanted to ask. Those topics—and much, much, more—are what Q’s for Zzz’s is meant to tackle, one at a time. In the Internet age, there’s often an instant information overload when you search for things. Go on, try it. Questions like “How long should I sleep?” or “Can I put my mattress on the floor?” bring up hundreds of search results. We know, because here at Good Night’s Rest, we go through it every single time there’s a burning question that just won’t go away. It’s extra personal for me, too–Maria here, by the way. 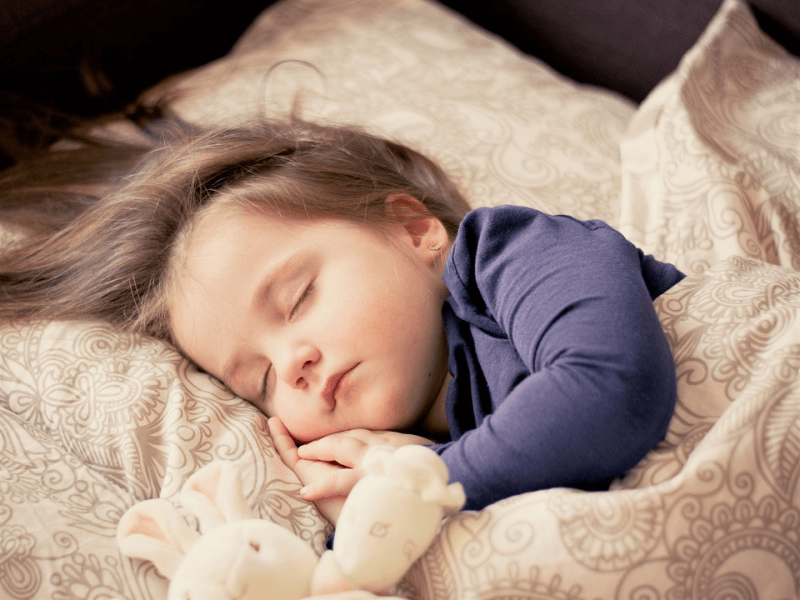 As a very curious person struggling to form healthy sleep habits, there are many things that I want to know when it comes to sleep hygiene and sleep quality! The funny thing is that when I have a question in my mind that remains unanswered, I end up having trouble sleeping. So, these articles do double duty: they help me sleep better, and hopefully they help you sleep better, too. Let us do all the research for you. Q’s for Zzz’s is here to answer all the nagging questions that keep you up. Below is a roundup of all the questions Good Night’s Rest has looked into so far. Pro tip: Click on the item titles to check out the full articles! If a typical person were asked to describe what makes up a normal bed, they would probably include—at the very least–a mattress and some sort of base, frame, or platform. 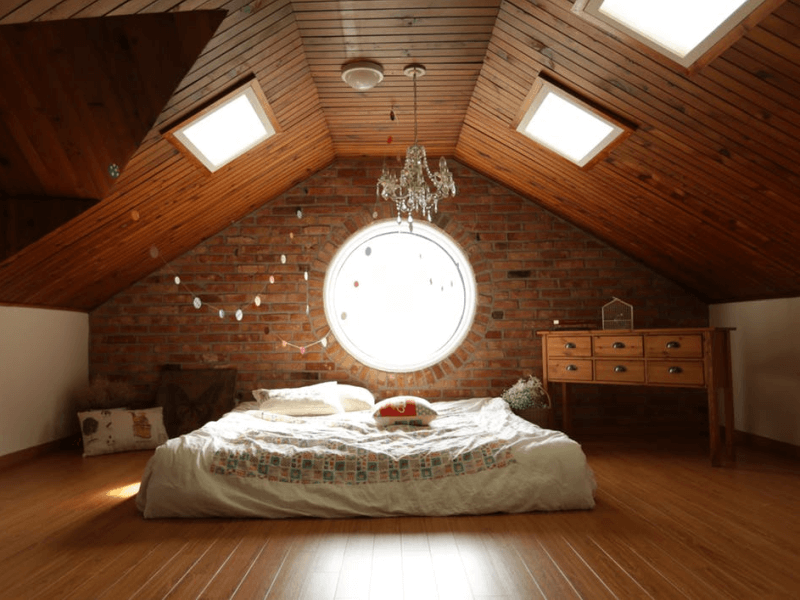 The idea of putting a mattress on the floor is not too uncommon; but the decision to do so is often due to a lack of budget or space, or is thought of as a temporary solution. To answer the question, though: Of course, you can put a mattress on the floor! Who’s going to stop you, especially if you own it? The real issue is not if you can do it, but if it is a good idea in the first place—and to figure that out, you’ll need to consider many things: the material and make of your mattress, where you live, how you sleep, and even your physical condition. How Do Amino Acids Improve Sleep? First, let’s brush up on our biology: Amino acids are organic compounds that aid in the body’s metabolism; they are made up of primarily carbon, hydrogen, oxygen, and nitrogen. Amino acids are also known as the building blocks of protein, which in turn are a major component of almost all of our biological functions and processes—including hormone production, nutrient transport, tissue repair, and more. It’s been found that the ideal balance and supply of amino acids in the body can be negatively impacted by things that prevent us from making efficient use of what we eat: pollution, malnutrition, or generally unhealthy habits such as smoking cigarettes and drinking alcohol. We already know this, and are familiar with the most noticeable symptom of amino acid deficiency: fatigue. How we sleep is also affected by amino acids—because sleep health is intrinsically linked to overall health. We see the fruits of academic studies over the years in the ingredients of natural sleep aids and supplements available today. Many sleep aids include one or more amino acids in their formulations. This article looks at some of the most common amino acids linked to sleep health: GABA, Glutamine, Glycine, L-Theanine, and Tryptophan. How Do Diet and Sleep Affect Each Other? When you pay attention to your diet and your sleep schedule, you will notice how what you eat affects your sleep patterns. Heavy meals and snacks consumed before bedtime can delay the onset of sleep, a study finds. However, the reverse may also happen; another study shows that meals may actually help you sleep earlier. The difference actually lies in what you eat. 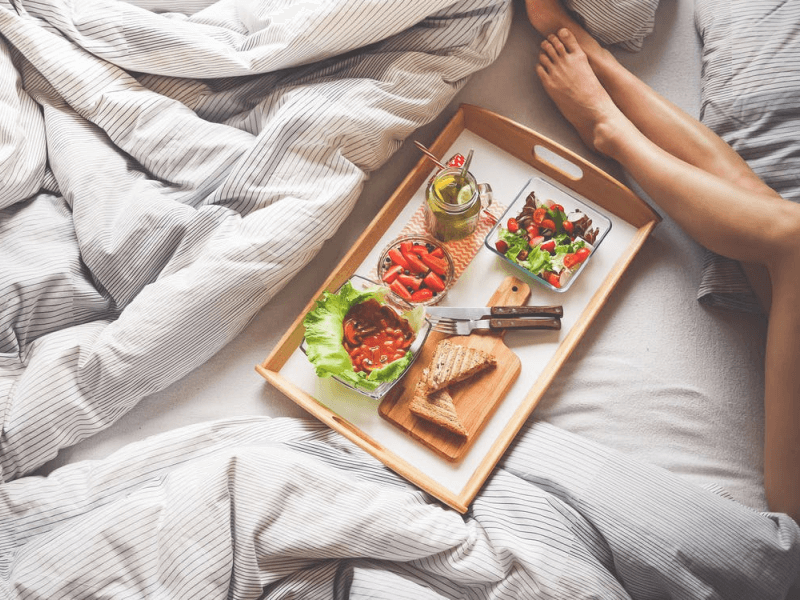 The connections between diet and sleep are complex; and if you don’t take care of that delicate balance, you may find yourself locked in a destructive cycle of poor habits that can be hard to break. Bottom line: Eat right, sleep right—and always get a good night’s rest. To get the best sleep and benefit from the best diet, you need to keep an eye on both. Light and the absence of it affect the way you sleep more than you know. Our bodies physiologically respond to light the way humans have for hundreds of years. It’s built into the biological regulation of the human sleep cycle to respond to light and darkness. Exposure to light stimulates the body and encourages the need to be alert and awake. This makes sense, because for most of human history, we have traditionally worked and otherwise gone about our lives during daytime hours. When it’s dark, the body starts to prepare itself for sleep. Melatonin levels normally start to pick up as the sun sets, peaking hours after midnigh—when we should be asleep—and dropping off as the sun rises. The current abundance of artificial light has made things difficult. In addition to ever-present electric light fixtures that extend waking hours and disrupt the natural sleep cycle, there’s also the advent of mass media and digital technology. 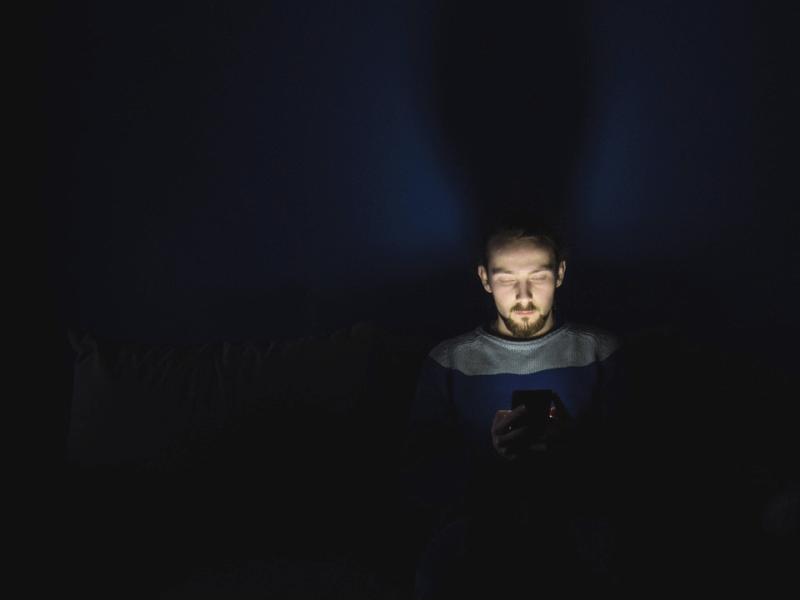 The light emitted by television screens, computer screens, tablet screens, smartphone screens—they all have a detrimental effect. To combat these, there are two things you can improve on: the quality of voluntary light exposure, and the darkness of your sleeping environment. The perfect amount of sleep depends on many elements, but typically the defining factor is age. You might have grown up believing that eight hours of sleep every night an essential and time-honored practice, but a 2015 study disproves this myth—every person is different. The normal range of seven to nine hours for adults likely comes from the belief that one typical sleep cycle is completed every 90 minutes or so; placing the ideal sleep duration at five or six cycles, or seven and a half or nine hours. However, 90 minutes is an estimate at best; fluctuations based on diet, genetics, medication, and even both physical and mental activity and health, can affect someone’s sleep cycle. The best way to find out how much sleep is best for you is to keep a sleep diary. This is a easy way to improve your sleep quality without making any huge changes to your schedule until you’re sure you need to do it. If you take note of when you usually sleep and wake up, how many sleep interruptions you experience, and how you feel at different hours of the day, you will likely see patterns and adjust your sleeping habits accordingly. When a new mattress is set up, some people may notice a faint, chemical-like odor—sometimes referred to as that “new mattress smell”. This odor is actually the result of many chemicals called Volatile Organic Compounds (VOCs) that have finally had a chance to “off-gas” after being built up from being sealed up during transport. VOCs are found in thousands of modern, synthetic, and manufactured products—from household cleaners and wood glue, to carpeting and furniture, and even electronics and some toys and sports implements. 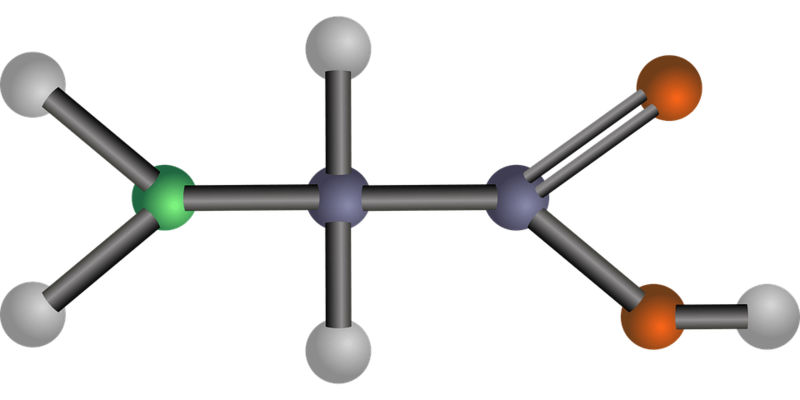 Off-gassing is what happens when these VOCs break down and are released into the air as emitted gases or vapors from solid or liquid products. While it can sometimes be easy to tell when something is off-gassing, especially when it’s new, it can also be odorless and practically unnoticeable if it’s released in minute amounts. If you’re particularly sensitive to chemicals, or very allergy prone, you may find that you react more to VOCs than other people. For most, mattress off-gassing is mainly a problem because of the smell. 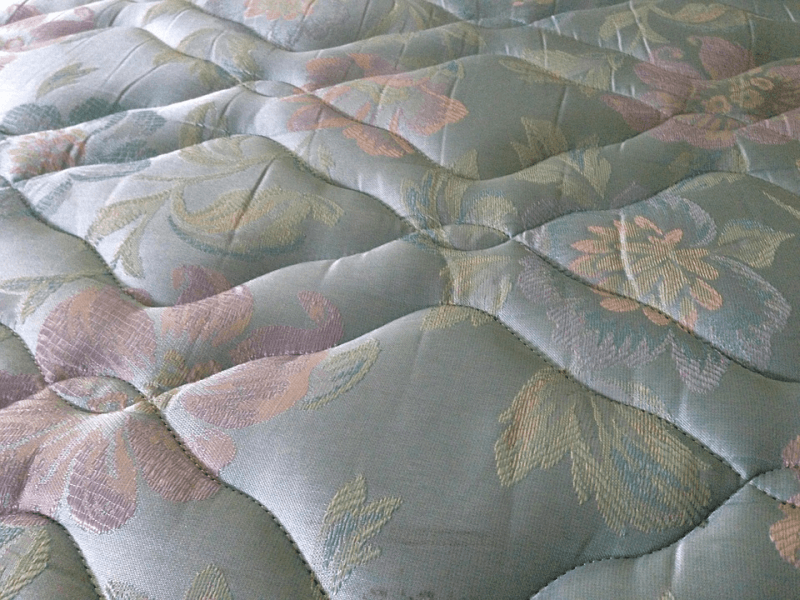 If you are experiencing more than just mild discomfort due to the smell, you may want to look into getting a mattress that is organic; or at the very least, one that doesn’t use a lot of foam, like innerspring variants. The quick answer to this question is the obvious one—when you feel sleepy—and to some degree, it’s correct. When it comes to people and sleep, there are early birds and there are night owls; chronotypes are the scientific reason behind that variance. This is why in an ideal situation, you should sleep when you feel yourself winding down. Every person has a chronotype, defined in a 2013 study as the circadian phase of human behavior. In other words, it is the part of your natural body clock that knows when you should sleep or be active, and for how long. In a perfect world, your chronotype should more or less align with your bedtime and work schedule. However, there are unavoidable elements—like school, assigned shift hours and other social obligations—that can force you into a sleep-wake pattern that may not be optimal for your body, as this 2008 study explores. 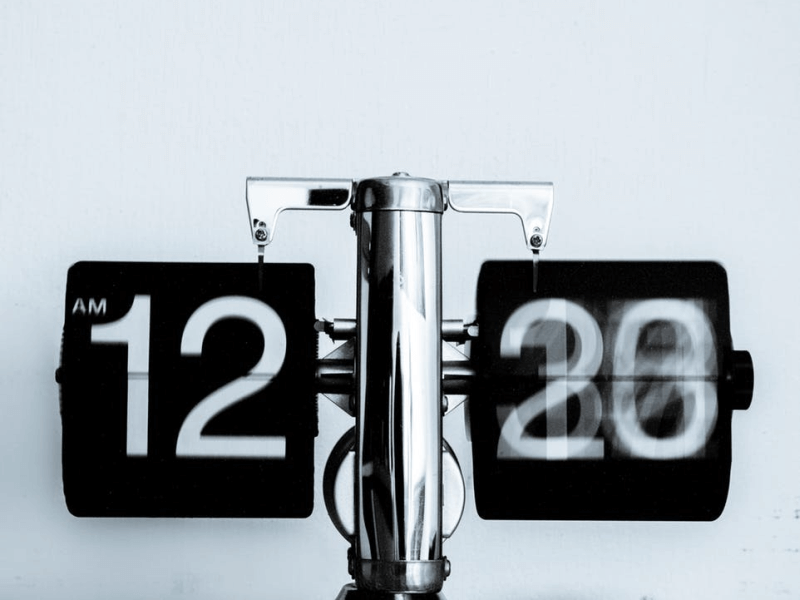 If you can’t follow what your chronotype dictates naturally, the next best thing to do is to derive a target bedtime from a combination of three things. To find out the best time for you to go to bed, you need to take into consideration the commonly accepted sleep cycle, the amount of sleep that your body needs, and your ideal wake up time.